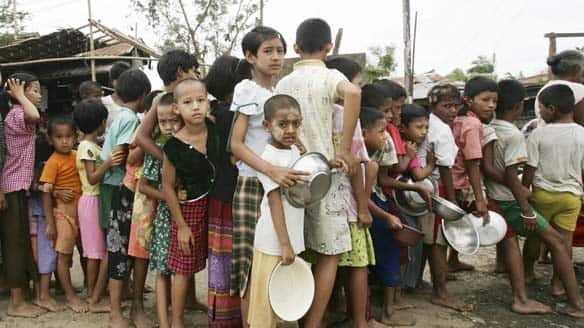 NANSAN, China — Myanmar refugees were heading home from China on Monday following the end of fighting between government troops and an ethnic militia, but some experts said the unrest could affect Beijing’s relations with Myanmar. The initial flight across the border showed how Myanmar’s junta can sow instability that spills into China, prompting a rare request from Beijing at the end of last week that the generals stabilize the situation and protect the interests of Chinese nationals inside the country. While fighting ended soon after with a quick defeat for the rebels, Myanmar’s decision to launch the attack so near the Chinese border was seen as a snub to Beijing by some analysts. 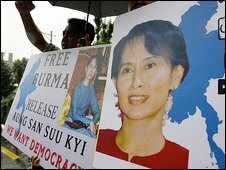 “The Chinese have learned that the Burmese regime are not as compliant as they assumed,” said Monique Skidmore, an expert on Myanmar at Australia’s University of Canberra. Myanmar is also known as Burma. More than 30,000 civilian refugees had streamed into China to escape the fighting, which broke out last week after hundreds of Myanmar soldiers moved into Kokang, an ethnically Chinese region in northeastern Myanmar that borders China’s Yunnan province. Myanmar is trying to consolidate control over several armed ethnic groups along its borders to ensure smooth conditions for next year’s national elections, the first in nearly 20 years. Several groups are resisting pressure to become border guards ahead of the vote. The area is on the fringe of the drug-producing Golden Triangle region where Myanmar, Thailand and Laos meet, and much of the heroin and amphetamines produced there is smuggled into China where its sale funds the ethnic militias. China has been working closely with Myanmar to stem the drug trade and is anxious to ensure that the other symptoms of the region’s unrest — like high crime rates and casinos — stay on Myanmar’s side of the border. Beijing’s desire for stability along that border is partially behind its nearly unwavering support for the generals who run Myanmar, despite international concerns about the authoritarian regime, said Donald Seekins, a Myanmar expert at Meio University in Japan. “Beijing is not 100 percent happy with the military regime, but it sees no viable alternative and will do everything it can to restore stability in the border area — including intensive negotiations and behind-the-scenes pressuring of the parties involved,” he said. On Monday, hundreds of refugees who’ve spent at least the past week in China were transported from camps to the border, where they walked through the gate, clutching bags and blankets. Yunnan provincial government spokesman Li Hui said at least 4,000 refugees had returned to Myanmar by the end of the day Monday. About 9,000 remained in seven camps set up to house them in tents and makeshift buildings. The rest are believed to be staying with friends and family, or are staying in hotels, or have left the area. 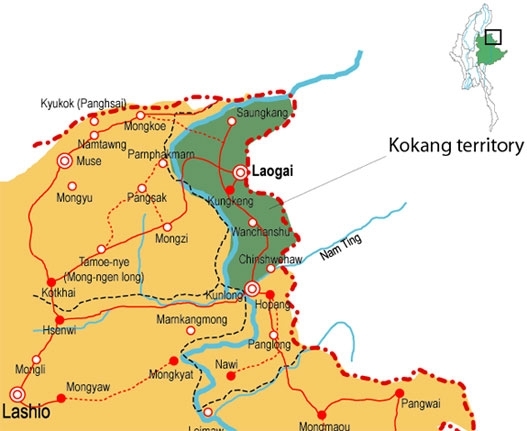 In addition to the thousands of civilians, hundreds of Kokang rebels fled during the fighting, surrendering their weapons and uniforms to Chinese border police and crossing to safety after several days of skirmishes. Since abandoning overt support for anti-government rebels two decades ago, China has built strong relations with Myanmar’s ruling junta while Chinese investors, traders, and shopkeepers have swarmed into the country’s northeast. The relationship has thrived through a tacit agreement under which Beijing provides economic opportunities and diplomatic support for the generals, who have been isolated internationally and face widespread condemnation over their human rights record and economic mismanagement. In return, the generals ensured access to the country’s mineral wealth and tried to address China’s concerns over narcotics and unrest. China’s Foreign Ministry had no comment on the situation Monday, and Chinese government-backed scholars dismissed the notion of a major rupture in ties. 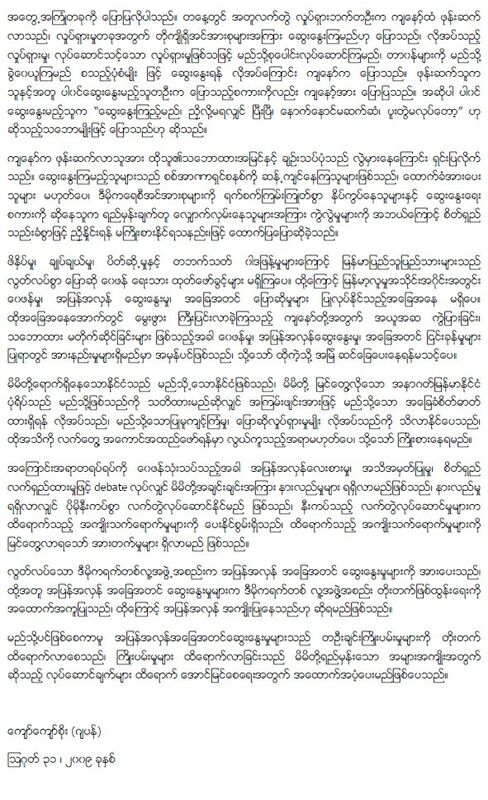 “China will develop friendly relations with Myanmar taking the overall situation into consideration,” said Ma Ying, a professor at the Shanghai Institute of Foreign Studies. But the clashes could threaten China’s traditional arrangement with Myanmar, analysts say. The conflict highlights the “imperviousness of the Burmese regime to international opinion, and the limitations of even China … to have much influence in a crunch,” said Sean Turnell, a Myanmar expert at Australia’s Macquarie University. Associated Press Writer Ambika Ahuja in Bangkok contributed to this report. Japanese voters have resoundingly rejected the party that has set the country’s policy agendas for more than half a century. The rise of a center-left party promising to soothe the pain of globalization is being seen as a major break with business as usual. The DPJ appeared set to gain more 300 out of 480 lower house seats in play. That result is consistent with months of expectations that LDP Prime Minister Taro Aso and his party would be defeated the DPJ and its leader – Japan’s presumed next prime minister -Yukio Hatoyama. Hatoyama expresses his gratitude, saying it was the people’s strong desire for change that brought about this result. He says the vote clearly reflects the deep public desire to shift the country’s balance of power. The LDP has controlled Japan’s legislature almost without interruption for the past 55 years. But many voters blame the party for Japan’s worst period of recession since World War Two. The DPJ has campaigned almost exclusively on bread-and-butter economic issues, appealing to voters who feel the LDP has lost touch with average families. Japanese Prime Minister Taro Aso struck a note of deep humility in accepting his party’s defeat. He says the election result is regrettable, but that he will take the people’s voice seriously. In a signal he will likely resign soon, he says he blames the defeat on his own failure, and will accept personal responsibility. Hatoyama now inherits the conundrum of Japan’s struggling economy – ballooning debt, sputtering growth, and a rapidly aging population. On foreign policy, the DPJ has signaled closer regional integration with East Asian nations, particularly neighboring China. Hatoyama has vowed to “re-examine” Tokyo’s relationship with the United States – but says the U.S.-Japan alliance will still be a cornerstone of the country’s security. TOKYO — Japan’s opposition party won historic elections in an apparent landslide Sunday, media projections said, sending the conservatives to defeat after 54 years of nearly unbroken rule amid widespread economic anxiety and desire for change. The left-of-center Democratic Party of Japan was set to win 300 or more of the 480 seats in the lower house of parliament, ousting the Liberal Democrats, who have governed Japan for all but 11 months since 1955, according to exit polls by all major Japanese TV networks. The loss by the Liberal Democrats would open the way for the Democratic Party, headed by Yukio Hatoyama, to replace Prime Minister Taro Aso and establish a new Cabinet, possibly within the next few weeks. The vote was seen as a barometer of frustrations over Japan’s worst economic slump since World War II and a loss of confidence in the ruling Liberal Democrats’ ability to tackle tough problems such as the rising national debt and rapidly aging population. TV Asahi, another major network, said the Democratic Party would win 315 seats. The LDP’s secretary-general, Hiroyuki Hosoda, said he and two other top officials plan to submit their resignations to Aos, who serves as president of the party. As voting closed Sunday night, officials said turnout was high, despite an approaching typhoon, indicating the intense level of public interest in the hotly contested campaigns. Ruling party leaders said they were devastated by the results. Even before the vote was over, the Democrats pounded the ruling party for driving the country into a ditch. Japan’s unemployment has spiked to record 5.7 percent while deflation has intensified and families have cut spending because they are insecure about the future. Making the situation more dire is Japan’s aging demographic — which means more people are on pensions and there is a shrinking pool of taxpayers to support them and other government programs. “The ruling party has betrayed the people over the past four years, driving the economy to the edge of a cliff, building up more than 6 trillion yen ($64.1 billion) in public debt, wasting money, ruining our social security net and widening the gap between the rich and poor,” the Democratic Party said in a statement as voting began Sunday. “We will change Japan,” it said. Hatoyama’s party held 112 seats before parliament was dissolved in July. The Democratic Party would only need to win a simple majority of 241 seats in the lower house to assure that it can name the next prime minister. The 300-plus level would allow it and its two smaller allies the two-thirds majority they need in the lower house to pass bills. Many voters said that although the Democrats are largely untested in power and doubts remain about whether they will be able to deliver on their promises, the country needs a change. “We don’t know if the Democrats can really make a difference, but we want to give them a chance,” Junko Shinoda, 59, a government employee, said after voting at a crowded polling center in downtown Tokyo. Having the Democrats in power would smooth policy debates in parliament, which has been deadlocked since the Democrats and their allies took over the less powerful upper house in 2007. With only two weeks of official campaigning that focused mainly on broadstroke appeals rather than specific policies, many analysts said the elections were not so much about issues as voters’ general desire for something new after more than a half century under the Liberal Democrats. The Democrats are proposing toll-free highways, free high schools, income support for farmers, monthly allowances for job seekers in training, a higher minimum wage and tax cuts. The estimated bill comes to 16.8 trillion yen ($179 billion) if fully implemented starting in fiscal year 2013. Aso — whose own support ratings have sagged to a dismal 20 percent — repeatedly stressed his party led Japan’s rise from the ashes of World War II into one of the world’s biggest economic powers and are best equipped to get it out of its current morass. But the current state of the economy has been a major liability for his party. “It’s revolutionary,” said Tomoaki Iwai, a political science professor at Tokyo’s Nihon University. “It’s the first real change of government” Japan has had in six decades. AP reporters Mari Yamaguchi, Kelly Olsen, Shino Yuasa and Tomoko Hosaka contributed to this report. … Malaysia, the Philippines, Singapore and Thailand. Since then, membership has expanded to include Brunei, Burma (Myanmar), Cambodia, Laos, and Vietnam. Washington: Advocating that economic sanctions against Myanmar be lifted, a US Senator who recently visited the country has said the need to immediately re-engage Myanmar in diplomacy. “Right now we have an opportunity to try to construct a new formula, and it is vital for the interests of the United States in Southeast Asia that we re-engage across the Southeast Asian mainland. We are in real danger of losing our position, with the expansion of China, with this whole series of countries that I visited,” Senator Jim Webb, told the PBS news in an interview. Senator Webb is the first US lawmaker to visit Myanmar in about a decade and meet Senior General Than Shwe and also noble laureate, Aung San Suu Kyi. On his return, in an op-ed in ‘The New York Times’, he called for lifting of sanctions on Myanmar and said the ultimate objective is to encourage Myanmar become a responsible member of the world community. “I am not saying lift sanctions immediately. I am saying we need to proceed immediately towards a formula where we can do that. 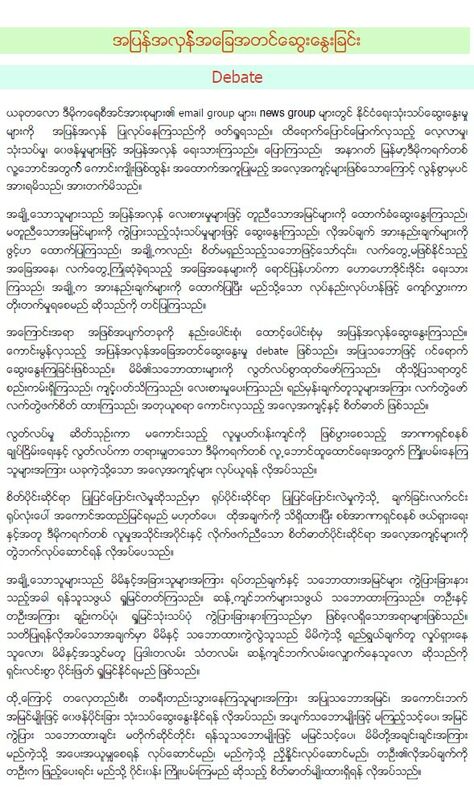 By cutting off the United States and the European Union from Myanmar, as China is so heavily investing in the country, and we are seeing Myanmar now tilt away from our national interest. There’s got to be a different way to do this,” he argued. According to Webb, there are other dimensions to lifting sanctions, and that is allowing people from Western cultures to interact on a daily basis with the people of Myanmar and, through those sorts of interactions, raising a level of consciousness so that you can have the right sort of interest, in terms of changing a system. “With respect to the meetings with General Than Shwe, is that I communicated to them as clearly as I could that the rest of the world views their government through the way that they treat Aung San Suu Kyi and it was important for them to show more even-handedness there,” Webb said. Q+A: Will fighting in northern Myanmar escalate?